Well hello to you my reader chums and long time no see! I've been so busy lately with the run up to Christmas that I haven't had the chance to sit down and write a blog post, which saddens me. However I've got a few posts planned which I hope you'll like! Yesterday I received the loveliest email from someone who reads my blogs and it made me extremely happy. Knowing people enjoy reading something that I write, which is my favourite thing to do is honestly the best feeling in the world. Now, today I thought I would do a mini review on the lush bath ballistic Avobath. I bought this a month or so ago and never got the chance to use it, yet a couple of nights ago I wanted a relaxation session and decided to have a bath. Initially the reason I bought it was the sensational smell, it's quite sweet like honey but not too overwhelming, I would say it has a slightly subtle scent. As it wasn't too strong, it's ideal for those who are not keen on over perfumed bath bombs. 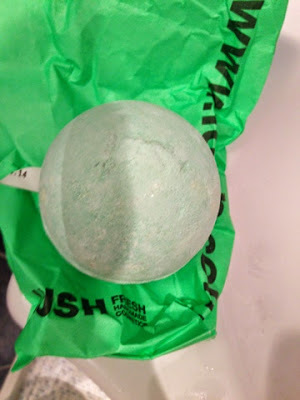 Once I popped it in the bath, it wasn't a big fizzer because since its a bath ballistic its not a crazy fizzer like many of Lush's other bath bombs. 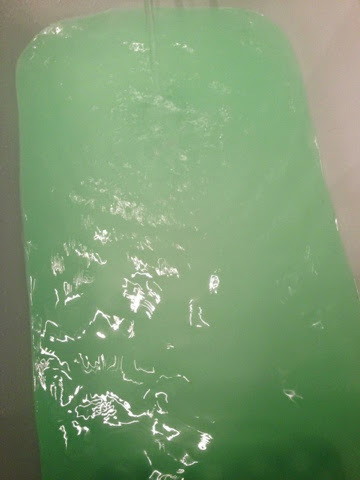 After Acobath had completely melted, the bath water was kind of between a mint green and a pea green colour. 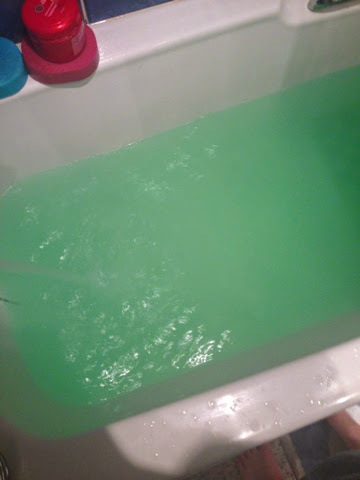 As it was green it really reminded me of wicked! When I sat down it was oh so luxurious, my favourite thing about lush bath products is how gentle and moisturising they feel on the skin. 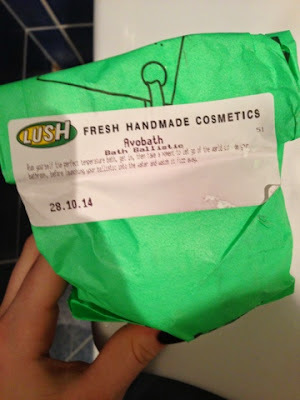 I really did enjoy this bath ballistic, as usually the bath bombs I use are full of glitter or colour and this one didn't have the 'wow' factor, yet it was rather relaxing, had the loveliest, sweetest scent and was a good old bath. I think its quite refreshing to not have a bath that's too overpowering sometimes as its adds a bit more of a tranquil atmosphere. I hope you liked this little review and are looking forward to a couple of other posts I have planned. I love that this one isn't glittery, I think I prefer that! Sounds like it is realy moisturizing - may have to pick one up for myself! This bath bomb looks so nice!! This is my second favorite bath bomb after luxury lush pud. it smells amazing!